Natural source of EPA and DHA. These omega-3-fatty acids work synergistically in the body to help maintain a healthy heart and circulatory system. HealthAid uses a source of marine lipid concentrate that is virtually free of all impurities. It is enriched with Vitamin E; molecularly distilled, cold pressed and hermetically sealed in a soft gelatine capsule to maintain freshness and ensure purity. - Free from all impurities. Marine Fish Concentrate, Capsule Shell (gelatin, glycerol, purified water), Vitapherole T-70 (vitamin E natural source). Adults and children over 12 years of age, one capsule daily.Can be increased to two capsules daily if required.Do not exceed recommended daily intake unless advised by a suitably qualified person. 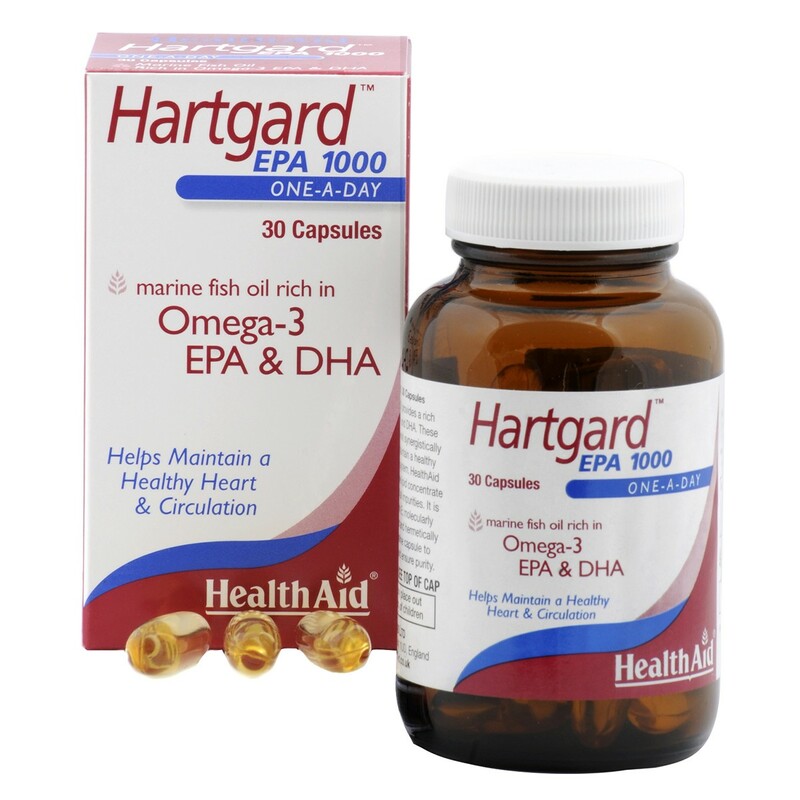 Thank you for your interest in HealthAid Hartgard EPA 1000. Enter your email and we'll contact you as soon as it's available again.